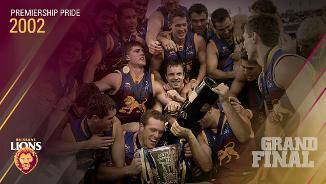 Darryl White reflects on the 2003 grand final and all the celebrations. 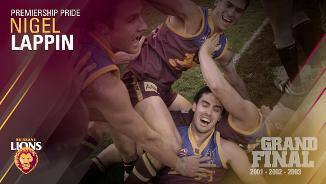 Lynch, White and Lappin relive the relentless 2002 Grand Final. 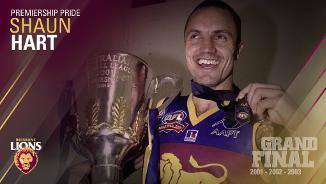 The 2003 Grand Final remains the clearest in Darryl White's memory. 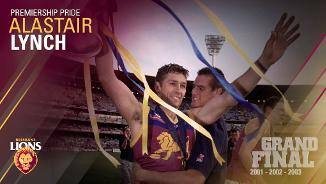 Alastair Lynch will forever hold the 2001 premiership close to his heart. Tim Notting recalls one special day in September. 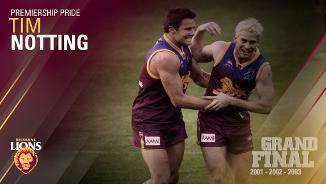 Nigel Lappin will go down in history as one of the toughest players to pull on the Lions guernsey. Black says the fourth quarter of their 2002 Grand Final against Collingwood was the most memorable moment of his career. 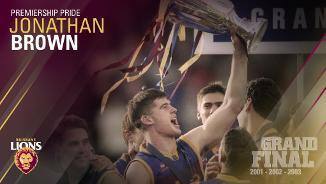 Former Brisbane Lions player Jamie Charman had waited two long years to run on in an AFL Grand Final until he finally had his chance in 2003. 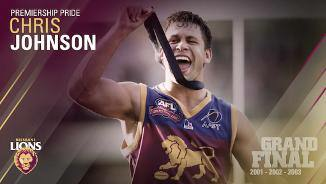 Chris Johnson revealed his favourite memory during the Lions era of dominance. 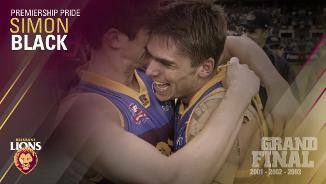 Our past legends relive the 2001 grand final. 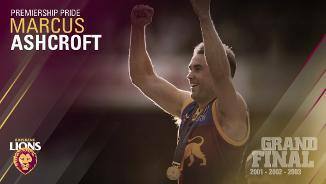 It took a while for Brisbane Lions great Chris Scott to appreciate that he had in fact won a premiership in 2001. 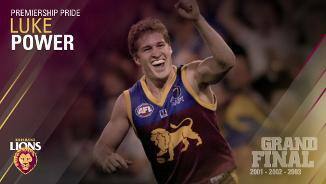 Premiership winning midfielder Luke Power says the players were more than teammates; they were family. In his maiden AFL Grand Final, Lions veteran Marcus Ashcroft’s first kick for the afternoon was a goal.